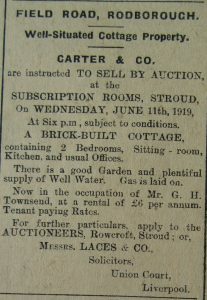 Stroud Journal 30th May 1919. This house is now 4 Field Rd. 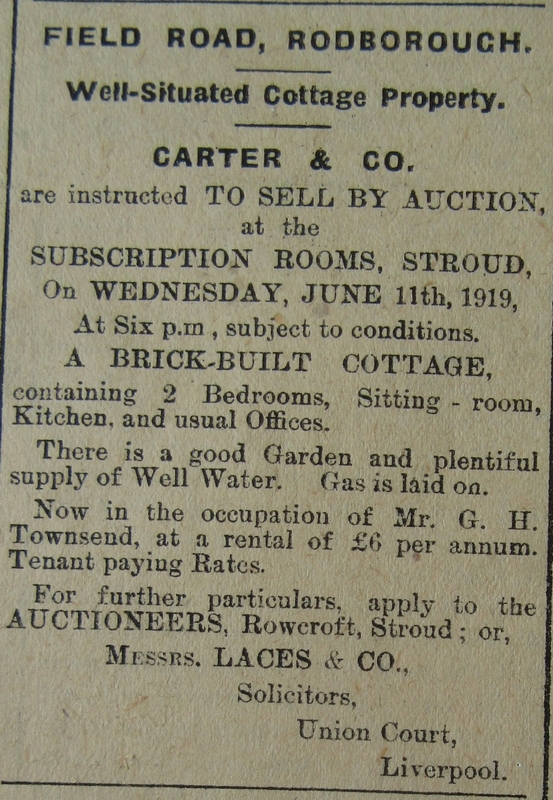 The Townsend family lost a son Frank in the First World War. He died of wounds in France in 1916, aged 18.